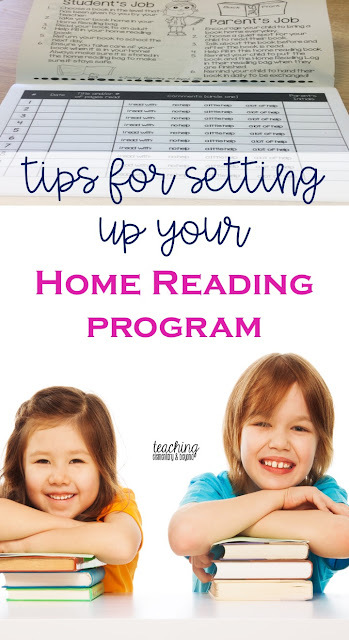 Although there is a bit of a front load in preparing, setting up a smooth running home reading program will save your sanity throughout the year as students will have a well established routine. I always have used a Ziplock style bag so that I can easily see inside to see if the book is inside or if it is missing. It is waterproof against the lunch or drink spills in backpacks that do occur. It also allows clear, easily read communication from parents. I try to reinforce the bag. I've tried packing tape but it often rips for many students. This year I used Duct tape and I only had to reinforce one bag after 8 months of use! Ensure each bag has a student name on it. I use identical labels for easy sorting. This allows non-readers to be independent. If you don't have much time a permanent marker works fine! 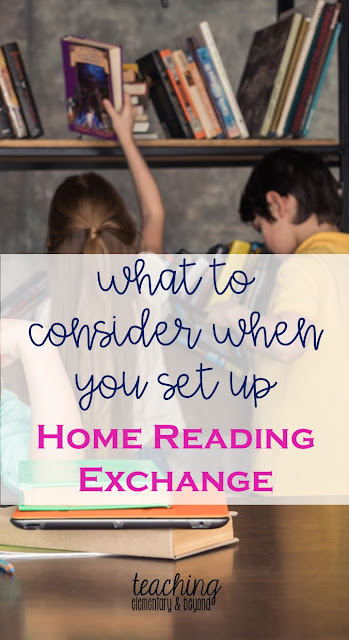 Prepare some sort of communication between home and school and frequency of reading. The type of forms filled in can vary depending upon the grade taught. Especially as there are large variations in abilities. Some teachers have a monthly checklist for parents to fill out. 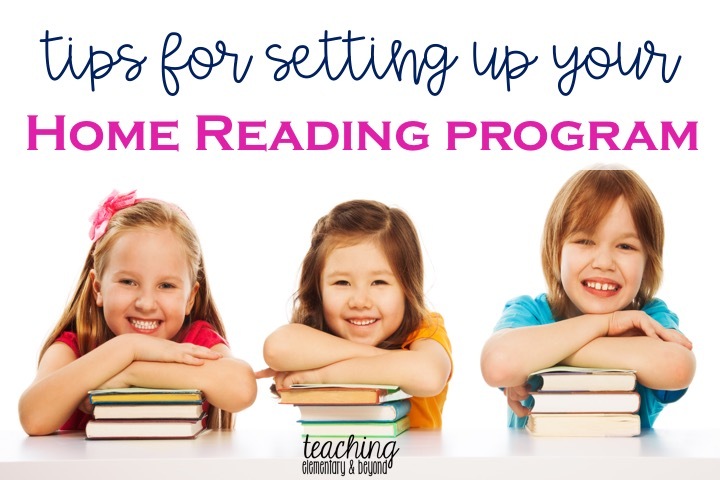 Others like to have parents sign in for each 10-20 minutes that their students read. I personally prefer a home reading book. I have used this booklet for 10 years now and find it quite successful. Parents fill out each book read and then they circle the difficulty of the book. They leave it open and I can easily check feedback from parents. I also like to reward reading efforts with a small sticker for every 10 books read. Make sure you have a sign out system. I have used many different styles over the years. Here are three suggestions with varying degrees of responsibility depending upon the needs or the dynamic of your classroom. Have students independently take out their books, put the cards back into the book envelope, and return it to the home reading cart. This is best with older grade students or students who are very responsible. It can work in a kindergarten classroom with adult supervision. Students retrieve their sign out cards from a sign out chart and I put them inside the books myself to ensure that the books are taken care of and the correct card is placed inside each booklet. I hand each student their empty home reading bag and then they immediately go and pick a different book and place the card into their name on the sign out chart. I collect and sort all the books as the whole class exchanges and then I return them back into the collection myself to ensure the cart does not get mixed up and books are not ruined trying to be stuffed back into the collection. 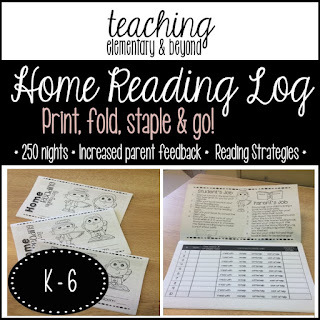 This works best with smaller class sizes or when you have a dedicated parent volunteer. Have a sign out in a binder where children come to you. The teacher can control returning cards to books sleeves in order to ensure the appropriate card is returned and what books are returned. I usually call one student at a time in a quick rotation Students are then given their bag to get their new book to sign out and return their new card to the teacher to be place inside the binder. The only reason we have ever had to resort to this type of control is due to ensuring that the teacher has "seen" all books returned. We have parents who say that they have returned their child's book when we inform them that one is missing. Teacher directed book exchange allows me to say say with full confidence that it hasn't been returned. Lost books are bound to happen (found at in the daycare, a siblings classrooms and at home etc). It is one way to ensure that parents are aware that you know what is going on in the classroom and provides them with reassurance.